Anima: Gate of Memories – The Nameless Chronicles is developed by Anima Project and published by BadLand Publishing. It was released in 19 Jun, 2018. When a shadow of his past rises again in his path, he will be forced to take part in a conflict in which the very existence is in question. 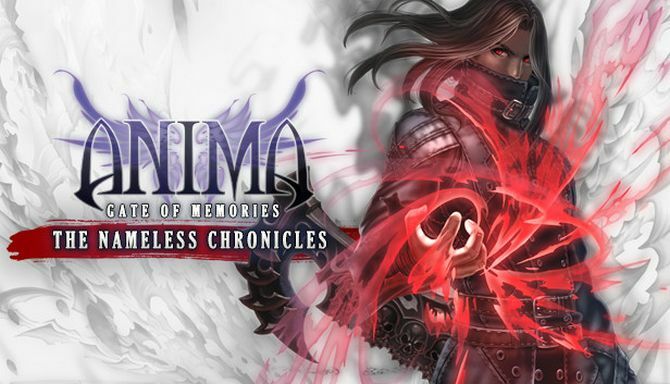 Accompany him on a travel through his past lives and discover the secret story behind the Gate of Memories. \u2022 Use the Hand of Tanathos, a unique action system that allows The Nameless to improve any attack becoming temporarily one with the Death. \u2022 Customize your character playstyle each time you level up with a vast set of unique skills, from magic to sword techs, developing them as in a traditional RPG.